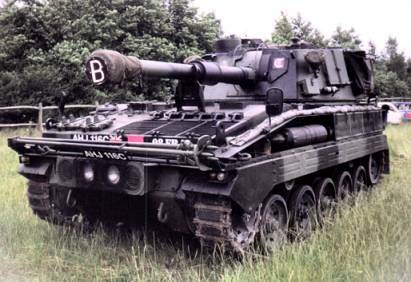 Now withdrawn from service, this 105 mm self propelled artillery piece was for many years one of the most important Royal Artillery vehicles. 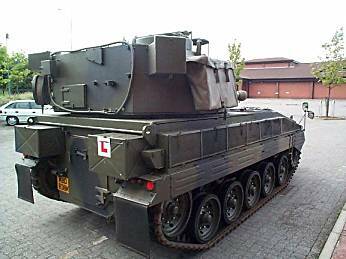 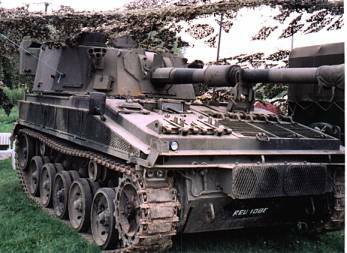 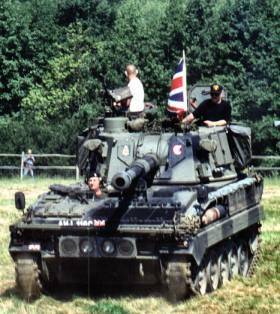 The suspension is common with the rest of the FV430 series, but the rest of the vehicle is radically different to the FV432 based vehicles, having a large fully traversable turret mounting a 105 mm L13A1 gun on a purpose built hull. 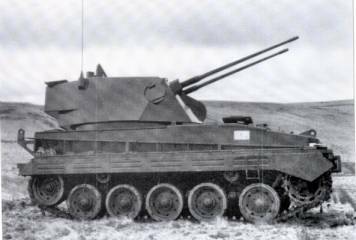 Based on the Abbot hull, this vehicle had a two man powered turret mounting twin 30 mm Hispano Suiza stabilised cannon with a rate of fire of 1,300 rounds per minute and an effective range of approximately 3,000 metres. 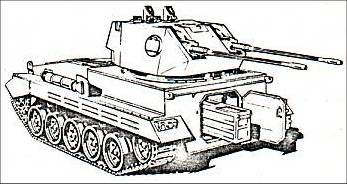 The vehicle was an experimental working prototype only. 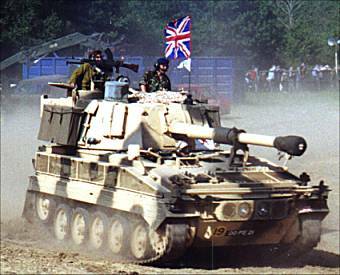 Development was ceased, principally due to insufficient ammunition stowage.